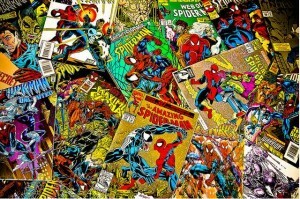 Comic Books in electronic format have taken off in popularity over the past few years. Tablets, color eBook readers and large smart phones screens have played a large role in this, making it a very natural transition from paperback format into electronic device. Holding a tablet and flipping through a comic book or magazine almost feels as natural as the real thing. In case you missed it, we just ran an article featuring a number of sources of Free Comic Books online. It only seems appropriate to follow this up with the best CBR/PDF comic readers so that anyone wanting to get into comics and nut sure where to start knows what to do next. Rather then going for an exhaustive list I am going to attempt to identify the best (or my favorite, at least) and most up to date and active readers for each platform you may be reading on. If you are looking for an alternative, well polished comic book reader then ComicRack is it! 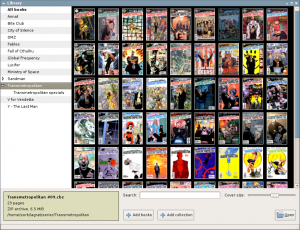 ComicRack is not open source but it is offered as a free download. Although the software is not crippled it is pretty heavy on the nagging for donations. But really, that is a small price to pay to get such quality software for free. 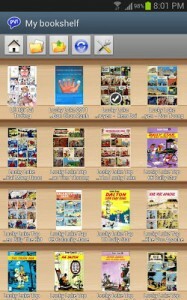 ComicRack is as full featured as CDisplayEx and also receives fairly active updates. 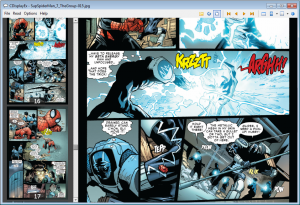 ComicRack is also available for both iOS and Android platforms making it one of the most widely known application names in the comic book scene. Comix is on the list as we are lacking a Linux mention so far! Even the open source CDisplayEx is only released for Windows OS. 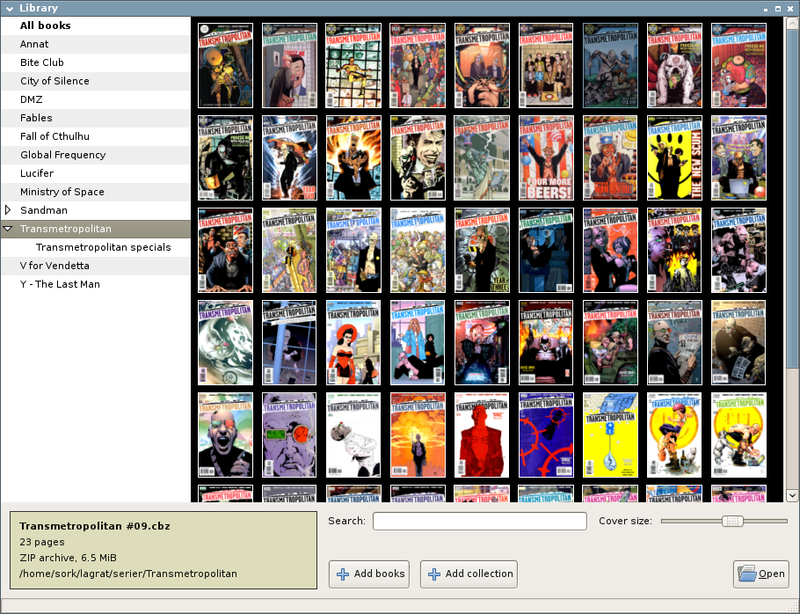 Comix is one of the top reader options for your other OS of choice, operating on Python which makes it quite portable across platforms. Comix is not the prettiest GUI to look at it but it has the functionality required of a Comic Book viewer down to a tee. Perfect Viewer gets a special mention for me as I believe it fills a certain niche extremely well and better then the top level premium viewers. 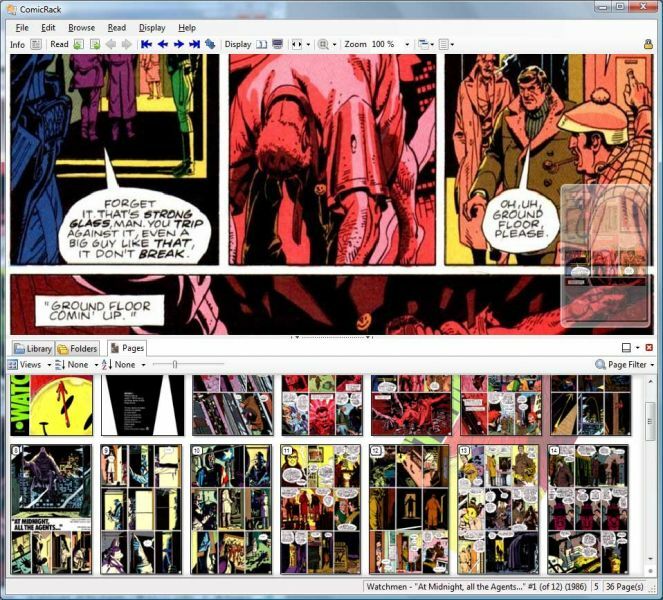 I use Perfect Viewer on my Samsung Galaxy S4 and I believe it is the perfect smart phone / small screen Comic Book reader. I had issues with most other readers I tried which are based heavily around the expectation that a single page fills your screen. On a phone, you generally need to go horizontal and read only a portion of a page at a time. Perfect Viewer may not be the best app to look at but it controls extremely fluidly, allowing me to drag the screen around as I view the page, or simply click on the left and right of the screen to jump up and down the page. It also has a feature to colorize black and white comics into a hue of your choice if you so prefer. Update 09/02/2014 – A number of users have reported some extremely invasive malware in the CDisplayEx installer! Although CDisplay was once the top viewer, I can certainly not give it that mark now that the project has gone to the greedy side. Please avoid! don’t install CDisplayEx it comes with bloatware and the trovi.com browser hijacker. I got infected by CDisplayEX’s trovi malware too. It took a whole day trying to fix my computer, and even now I’m scared that it didn’t clean everything. Even after removing everything and scanning with Malwarebytes multiple times, hitmanPro STILL came up with more stuff. It’s like an endless nightmare and I hate the people behind CDisplayEX so much!!! WHY do you put malware like this inside your installer? It only ruins people’s days… Do they make profit from makign people miserable? Hey everyone. I’d like to apologize to anyone who was infected by my recommendation of CDisplayEx. It was once a top viewer but I certainly do not support invasive Malware installations as part of an open source project. I have removed this as my top choice and suggested to avoid it. With that said, I think ComicRack is the go-to but would love to hear suggestions from users if you have any great CBR readers I did not cover here. It comes with its own ACBF format embedded in CBZ archive with lots of meta data and other stuff you can modify with ACBF Editor and display/filter … in the library. 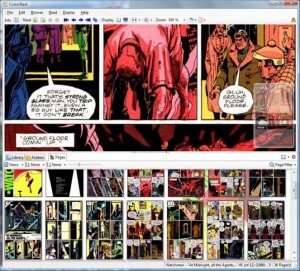 You can even create comics with a possibility to zoom-in to particular comic book panels and read it panel by panel.